The Victory RFs are designed to give you the best experience in the field. That means both performance and comfort. 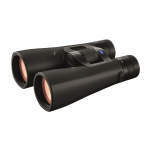 Holding these binoculars in your hands, you will be surprised by their comfortable fit and lightning fast, intuitive operation. A touch on the range-finding button displays the distance to the target and then the accurate holdover value. 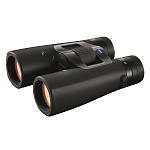 Victory RF binoculars provide the clarity and power you expect from Zeiss binoculars, together with range-finding and ballistic information that is often critical for hunting. The large 54 mm objectives ensure excellent image quality and brightness, even in twilight.